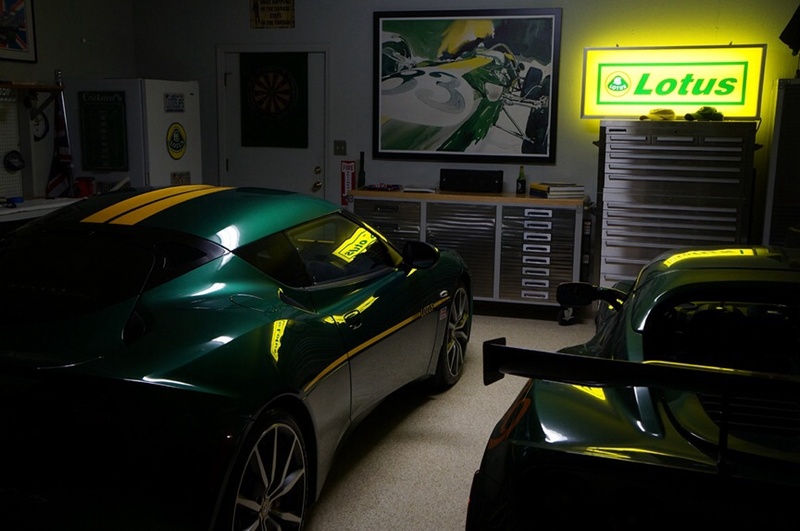 Looking for some Lotus items for garage wall. I found some porecelin signs, but all are only 8inch. I am looking for a larger statement piece. Founds this only . Any thoughts on quality? Sold on Ebay and Garage Art. Have one, Thin and light almost see thru but on a wall its just fine. you get what you pay for type thing. Ah ok, thanks for the quick reply. Was kinda figuring it was too cheap. I have the sisters to that. I took the black background one and had a sleeve sewn along the top. Then I bought a pole 1 1/4"? in diameter and about 6' long. Varnished and put a small post cap on the end, cut to reasonable size (about 5') and it hangs from the side of my garage. It has lasted about 3 years under partial high-sun exposure. I also bought a small, very small, diameter length of stainless rod and inserted it in the seam along the bottom edge to help keep it from wrapping up. The flag is now on its last legs and I have a white one waiting to take its place. I'll' send you a pic if you want to PM me. For some reason.neon signs look tacky to me. Reminds me of 60 user old Donald sterling types putting those in their garage next to their corvette. I would really like metal sign. I've got this one in my wish list on Amazon. I keep forgetting to order it though. My guess is it is the same quality and just doesn't have the checkers on the outside edges. I like it a little better than the checker one, which the same guy sells. Would be nice if he had a real picture of it though. Of course then I went and found them on Ebay and it looks like it's the same thing, just on Amazon one listing gives the fabric and calls it "premium" and the other doesn't. Last edited by Deja Vu; 05-21-2014 at 12:44 PM. Thanks for the second link ! If you get that one let me know how it is. If anything it's cheaper on Amazon than I found it on Ebay. I got one from the GGLC sacramento chapter signed by members when I went out for my last surgery. Of course I like it! You know, this day and age you could get a huge cheap tv and put anything you want on it. The painting you see here (per my avatar) costs me thousands yet a big screen could have put that image up and any and every thing else. I love your fridge Lotus magnet. LOVE HTE PAINTING. Love the neon, though I wouldn't light mine up if I had it. I have a similar one with black field. Thanks for the Amazon link!